You came to Istanbul and want to go to Cappadocia. How can you go to cappadocia from Istanbul, you can go via bus, plane, train or private cars. As you know cappadocia is not a city name, Cappadocia is incorporates the provinces of Aksaray , Nevsehir , Nigde , Kayseri and Kirsehir cities. Cappadocia area is far from 730 km from Istanbul. There are two airports at cappadocia area, one of them is Kapadokya Airport which is in Nevsehir city, the other one is is Kayseri airport. Turkish airlines has Cappadocia destinations everyday. If you want via bus you can find different bus company to Cappadocia everyday. Or the best way, send us an E-Mail and make oneself comfortable, we organize your tours, bus or fly tickets, hotels, transfer etc. 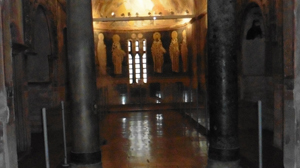 This entry was posted in Cappadocia on February 25, 2014 by Guide. could you send me information to my email? 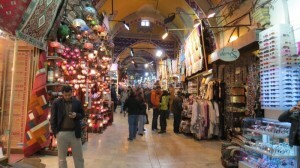 Dear Astrid Mc Millan H.
We sent an E-Mail about Cappadocia tour from Istanbul 2 nights 3 days. Hi, could I have some information we are considering a tour from Istanbul stay there 2 nights arrive 3rd November, and then tour to Capadocia 2 nites 2 days for 2 people I would be grateful for approx cost and would prefer to fly from Istanbul to Capadocia. Thanks, L. Peacock. We sent an e-mail to you. Thanks. We sent a detailed E-Mail to you. Could you please check your E-Mail. i want to go there 2 nights 3 days.. Traveling in early August. We are a group of 8. Looking to set something up from Istanbul to Cappadocia to Bodrum. Thank you. Hi, I would like to have complete information about a Tour to Capadocia, from Istanbul, for 2 people, 3 nights 4 days, we are considering to come there around July 23 – 26. Awaiting your prompt response. We sent an E-Mail to you. Thanx. I am coming to Turkey for the first time the end of July. I will have 6 full days to see all I can see. I would love to come to Cappadocia from my flight into Istanbul from the US, but also want to see Bodrum/Mugla. Could you give me your advice on how I can do both and the expense I would incur for 2 adults? Thank you so much. 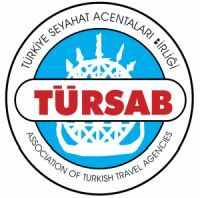 Me gustaría saber que se puede hacer en Turquía en 5 días, a partir del 26 de Julio, 3 días en Estambul y 2 días en Capadocia. Sería muy importante contar con guía en Español para la estadía. Hi! I intend to spend 3 nights in Istanbul and 3 nights in Cappadocia. I intend to self drive. Group size 2 adults and 3 kids (15, 13, 12 and 8 yrs old). I’m planing a trip with my wife to Turkey. We will be in Istanbul from the 12th of September until the 17th of September. In that period we would like to visit Cappadocia, have a tour there, do a ballon ride and enjoy 2 and a half to 3 days in the area. 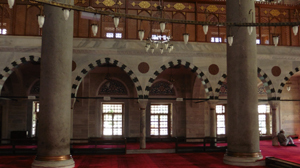 Could you help me with a quote including transport, from and to Istanbul, hotel accommodation options and suggested tours. Me and my boyfriend are going to Istanbul between 22-26/10 and we are thinking of staying in the city for 2-3 days and going to Cappadocia to do a bit of sightseeing and a hot ballon ride in Goreme with Butterfly Ballon. Would you be so kind as to send me a quote including cheap/economy transport (I guess bearing in mind we won’t have much time – flight would be the best way of getting there) from and back to Istanbul as well as accommodation options and any tours that are on offer in the area? Also is October a good time – wether-wise – for the hot ballon ride you reckon or not really? I am a single female who will be traveling to Turkey and wish to visit Cappadocia for two nights. Which airport is best to fly into and what are your recommendations. There are two airports in Cappadocia area, ASR Erkilet International Airport – Kayseri and NAV Kapadokya International Airport – Nevsehir, two of them are available, and there are two airports in Istanbul, Sabiha Gokcen Airport is very far from Istanbul city center but Ataturk Airport in not far. We recommend, should see Goreme Open Air Museum, Derinkuyu Underground city, Ihlara Valley, join Balloon Tour and eat Testi Kebap. Hi I’m planning a trip to Istanbul in October & would like to make a side trip to Capadocia for 2 people, 2 nights 3 days. Pls send me your tour details. Many thanks! Friend and I travelling arriving August 30th to Istanbul and want to take either an overnight bus ride or a one round air flight from Istanbul to Cappadocia. We would then stay in Cappadocia until September 3rd. Would you be able to provide methods of transportation and hotel accomodation inclusing tours? I would like to take tour Goreme Open Air Museum, Derinkuyu Underground city, Ihlara Valley, and eat Testi Kebap. What is your package? Also, is it two days package or one day tour. Lastly, can you please let me know how to reach from Bursa by air? We are traveling to Istanbul and would like to visit Cappadocia too. Can you please us the detail information for 2 people (plus one infants 3 months old) from 1st Sep till 3rd sept.
Today is 9th September, did you mean october or novomber? I will be visiting Istanbul on 27th Sep and want to visit Cappadocia for 2 days. Please suggest what is the best way to reach Cappadocia (Air or Bus). Please advise any package for 2 day including hotel and sightseeing (with hot air ballooning). Hi , I would like to undertake cappadocia hot air balloon. We are scheduled to reach istanbul on 9th oct, is it possible to take one day trip to cappadocia. Please provide information. Hi, I want to know about tours in Cappadocia (specially details about Hot Air Balloon), where is the best place to stay, the nearest airport to arrive and if we can go from there to Pamukkale and if it´s so, how long it takes. I’m planning a trip to Istanbul & Cappadocia this coming June. I will be travelling with my husband, 2 kids (6 & 9 yo) & dad. Tentatively, we will be staying in Istanbul from 2nd to 11th June 2015 and within this period, we intend to go for a 3/4 days tour to Cappadocia. Would very much interested to go for a hot air balloon ride and visit some of the interesting places there. Therefore, could you send me a quotation of the price for the whole package which includes transport (including flight IST-NAV-IST), hotel accomodation, hot air balloorn ride & suggested places of interest. We sent you detailed E-Mail. Thanx. 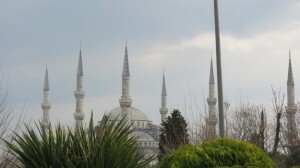 Hi – I arrive in Istanbul tomorrow and unfortunately only have 3 nights. 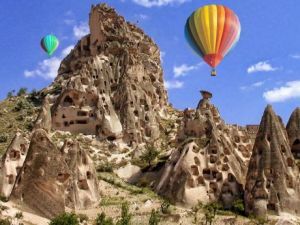 I am really hoping to do a one day trip by plane, car or bus to Cappadocia to do a hot air balloon ride & tour of the caves, see the fairy chimneys etc. The ideal date would be April 21, but I could also do April 20. Can you please tell me if it’s feasible, and if so, which transportation you would recommend and how much it would cost. Thanks! I would like to have complete information about a Tour to Cappadocia from Istanbul, for 2 people, 3 nights 4 days. We are considering to come mid May, 2015.
hi, we will be visiting Turkey, Istanbul between 5 Feb to 12 Feb. we would be very much interested to visiting Cappadocia for atleast 3 days 2 nights. – sight seeing with suggested places of interest. reaching istanbul ataturk on 30th April 2016 from Edinburgh reaching in evening. Could you arrange transfer to kayaseri for 3 days 3:nights package leaving on 4 th back to istanbul. plz bear in mind I will be flying with 2 bags total weight 46 kg.to be considered for domestic flight. Sorry need connecting flight from (Edinburgh to istanbul) to kayseri on 30 th april 2016 last flight preferably after 9 pm on 30th april and reaching back on istanbul on 4th may 2016 with 46 kg luggage. I am a single female who will be traveling to Turkey and wish to visit Cappadocia for two nights. Which airport is best to fly into and what are your recommendations. I need full trip guidance ! In Cappadocia there are two airports; Nevsehir NAV and Kayseri ASR airports. Both airport is more or less 1hr drive to Göreme Village. i am looking for a tour package for family of 4 adults. 2N / 3D from 21st Dec to 25th Dec – travel from Istanbul to Capadocia, stay in 4* / 5* hotel. hot air ballon ride, caves, city tour etc….Breakfast and wifi included. vegetarian food options …. Please 2 people looking to travel 2nd to 5th of April 2018 to Cappadocia. I’m planning on coming to Istanbul in July 2018 for about 12-15 days. And planning on visiting Cappadocia for 2-3 days. Can I get information on how and when I should book my plane tickets from Istanbul to Cappadocia. We are 3 people. Traveling to Istanbul and Cappadocia in September…any recommendations? i.e accommodation, places to see, things to go, etc. My wife and I would like to inquire about a one day trip from Istanbul to Cappadocia, returning to Istanbul in time for a 10:00 pm flight to Kusadasi ;-(( on Friday, May 31, 2019. We sent to you an e-mail about your tour.